Everything installed ok and I can ping the virtual ESX servers from the vCenter host that manages the cluster (the warning triangle is that there is no management network redundancy – I can live with that in this lab. 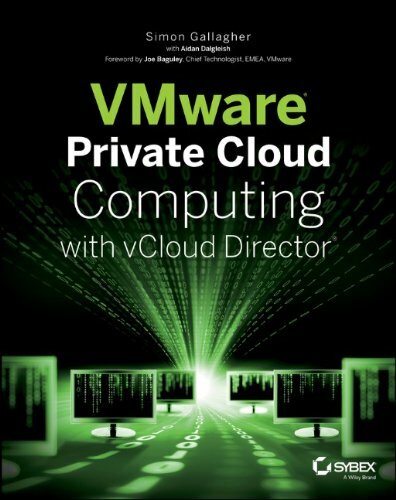 All ESX hosts (physical and virtual) are connected via iSCSI to a machine running OpenFiler and the storage networking works ok, however when I configure the vMotion & FT private networks between the VM ESX hosts I cannot ping the vMotion/FT IP addresses using vmkping – indicating that there were some communication problems, normally this would be a VLAN issue or some routing but in this instance all the NICs and IP addresses for my lab reside on a flat 10.0.0.0/8 network (it’s not production, just a lab). 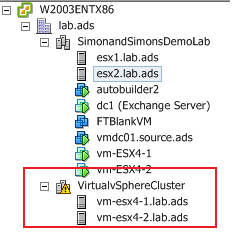 Problem solved and I can now vMotion nested VMs between each virtual ESX host – very clever! Glad to hear it is working well. Thanks for the help… I was having a time trying to ping my “nested” esx hosts.